Bordered by Dorset, Wiltshire, Berkshire, Surrey and West Sussex, Hampshire is located in the south east of England and is the gateway to the Isle of Wight, making campervan hire Hampshire easy and convenient. Its excellent transport links makes it an easy getaway from London and the home counties for a day visit, as well as an ideal destination for a longer stay with hundreds of attractions to explore, a varied landscape and two national parks (inc. the New Forest). Find out more about Hampshire on the Visit Hampshire website. We are located in the heart of Hampshire making us the perfect choice for Campervan Hire Hampshire. 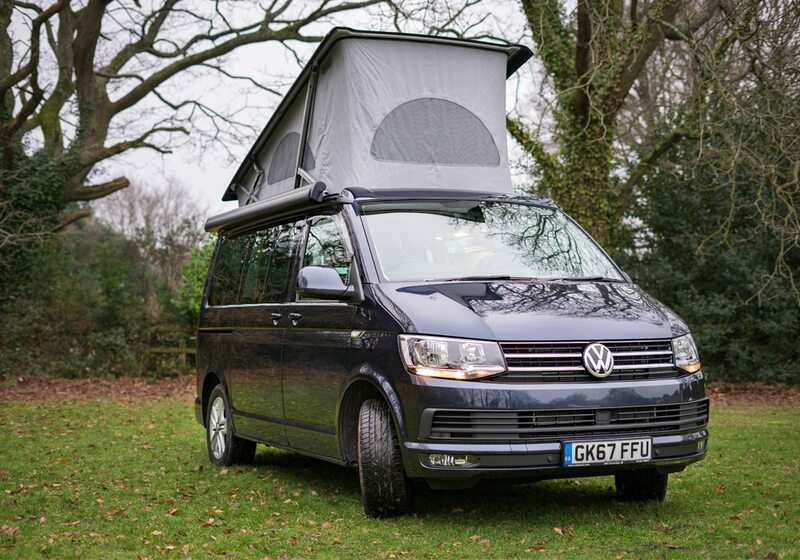 Browse our campervans to see what we can offer! Have a great day out with the kids in this 400-acre park near Southampton which was home to BBC’s Wartime Farm series. Watch the milking and meet the animals in the Victorian farm before exploring well signposted woodland trails and strolling along the banks of the River Hamble at Manor Farm. Find your inner Tarzan while having fun with your tribe in the treetops of Go Ape! Alice Holt near Farnham on the Hampshire/Surrey border. On the Tree Top Junior course, over 10s can negotiate crossings and finish on a high with a thrilling zip wire back to solid ground. Young visitors will love Paultons Park in the New Forest, home to Peppa Pig World with seven fun rides and attractions including George’s Dinosaur Adventure. It’s exclusive to the UK and a world first! Paultons Park is a full day out with birds, animals, gardens and Water Kingdom, perfect for warm days under the sprinklers. Find your sea legs with a harbour tour from the Historic Dockyard, home of the new £35m Mary Rose museum, or take a short ferry ride over to Gosport where you can go onboard HMS Alliance, a newly renovated WWII era submarine. You can also hop on a ferry to the Isle of Wight across the Solent and go dinosaur hunting. Marwell Zoo near Winchester is set in 140 acres of beautiful Hampshire countryside, home to tigers, meerkats and snow leopards. Take a break and jump on the road train for a free 35 minute trip around the park. There are several drop off and pick up points along the way and a rear trailer for pushchairs. Head to Queen Elizabeth Country Park near Petersfield and climb up Butser Hill, the highest point in the South Downs National Park. You’ll be rewarded with fabulous views of the surrounding countryside and it’s the perfect spot to fly a kite! Head back to the café for tea and cake, enjoy the adventure trail or hire a BBQ. New Forest Activities offer the perfect way to get your young children out on the water. Try a 90 minute guided family canoe trip to hone your skills and spot the wildlife, or try a family adventure day combining a bike trail with a guided canoeing tour. Hayling Island near Chichester is a traditional family beach resort with a Blue Flag beach, amusement park, seafront train and plenty of ice cream for hungry tummies. Discover the Hayling Billy trail by bike, an easy off road 5 mile round trip along the disused Hayling Billy railway track, ideal for families. This hidden gem near Havant is a playground for young families with 1,000 acres of free landscaped parkland to explore. Let the kids loose around the ornamental farm where you can feed the animals or take part in the popular daily animal encounters at Staunton Country Park. Don’t miss the all weather play barn! It’s hands-on fun at these fabulous gardens near Romsey. Children will love the low level tree house, they can spot the giant fish, cross the wobbly bridge and hide in the giant bamboo. There are seasonal self-guided activity trails and the childrens’ education garden is a fun way to discover nature. 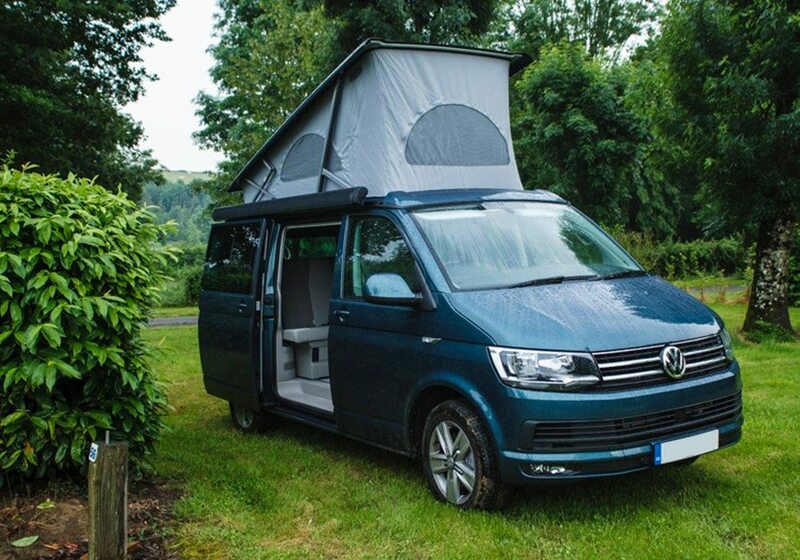 A VW Campervan Holiday in Hampshire is the best way to embrace this wonderful county. 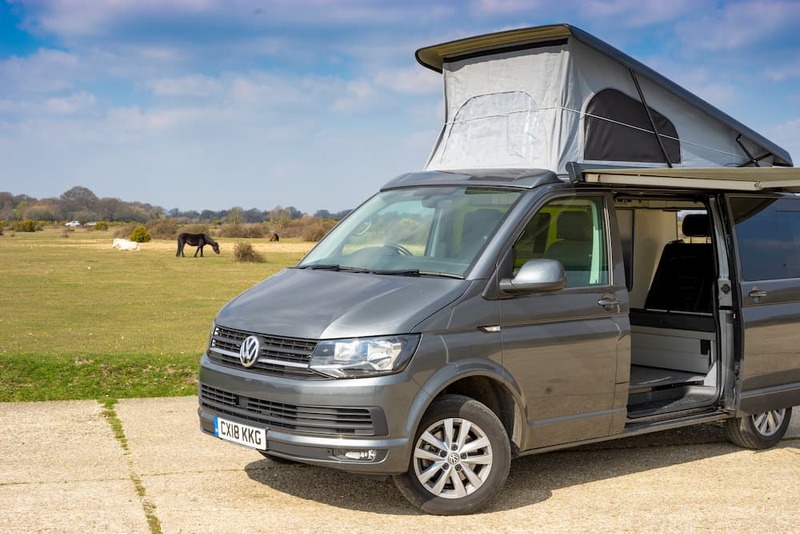 Rather than being limited to just one of the major cities, you can travel off the beaten track and discover gems with Campervan Hire Hampshire. You don’t get these kinds of experiences with a normal holiday. So what’s the wait? Hire one of our VW campervans today!